Park Nicollet’s 24-hour domestic abuse support program, AdvoCare, is looking for new volunteer advocates to provide crisis counseling and referral services to Park Nicollet patients who are living with domestic abuse. Volunteers must be non-judgmental and able to actively support patients who come from a variety of experiences and backgrounds. Volunteers are asked to commit to three on-call shifts per month for a minimum of 6 months. 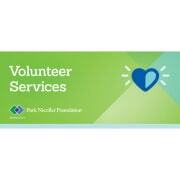 Volunteers must have a reliable vehicle and be able to reach Methodist Hospital within 30 minutes during their shifts. New volunteer training begins in May! Please contact Kate Lanning with Park Nicollet Volunteer Services (kate.lanning@parknicollet.com) for more information on the program, training, and how to apply to be a volunteer. 3 6-hour on-call shifts per month.